News - Mogren, Glessner & Ahrens, P.S. 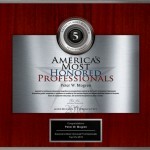 Mogren, Glessner & Ahrens, P.S., is honored to share the following news in our office. Mogren, Glessner and Ahrens, P.S. would like to congratulate our paralegal, Janis Kipp for passing the Paralegal Advanced Competency Exam (PACE) in December 2016. She may now use the designation PACE Registered Paralegal®, or simply RP®. Renton Reporter "Best Law Firm 2016"
Mogren, Glessner & Roti, P.S. was just selected as a top 20 best divorce lawyers in Seattle for 2016 by Expertise.com..